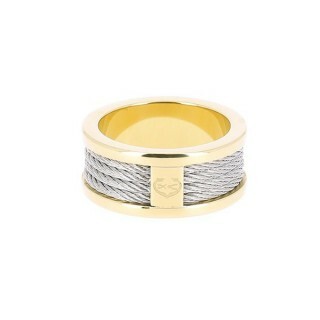 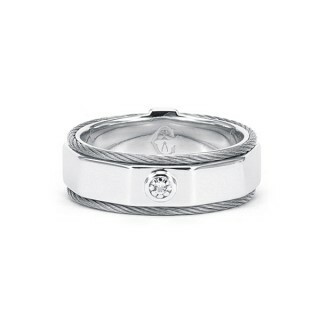 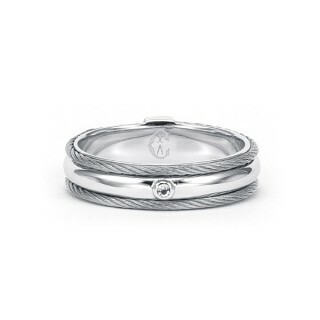 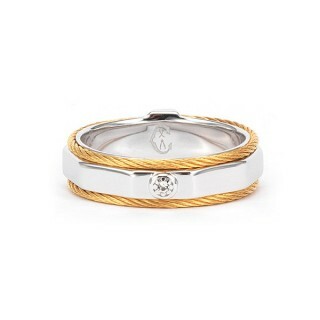 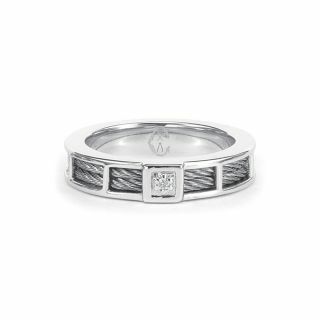 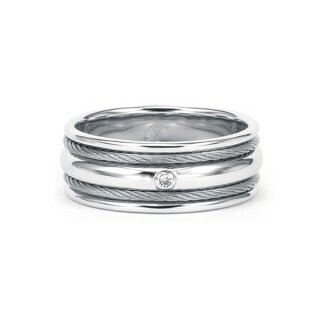 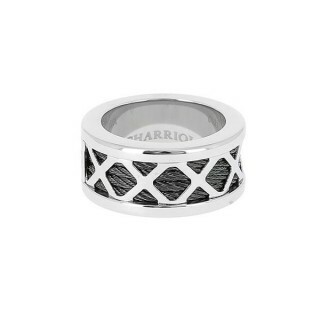 Start your fairytale with this stunning sterling silver ring. 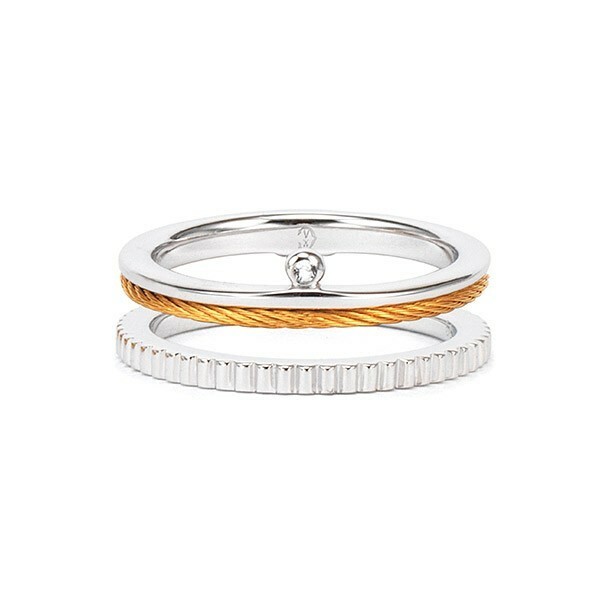 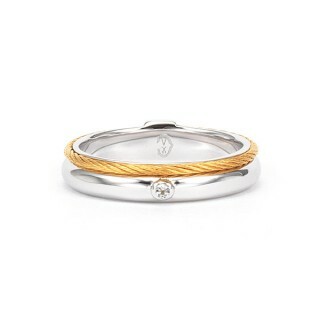 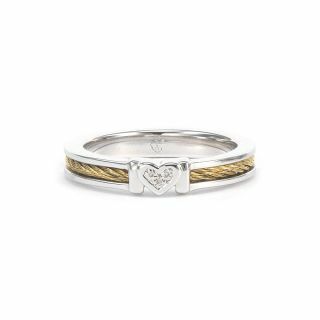 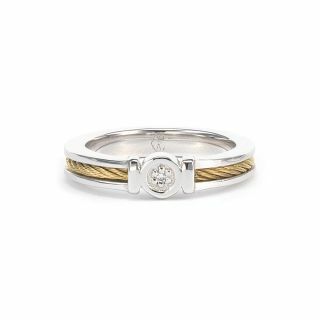 One of seven engagement band designs conceived by Art Director Coralie Charriol-Paul for this new collection, it features a round cut brilliant solitaire diamond, a golden twist of Charriol’s iconic woven cable motif and a ridged band. 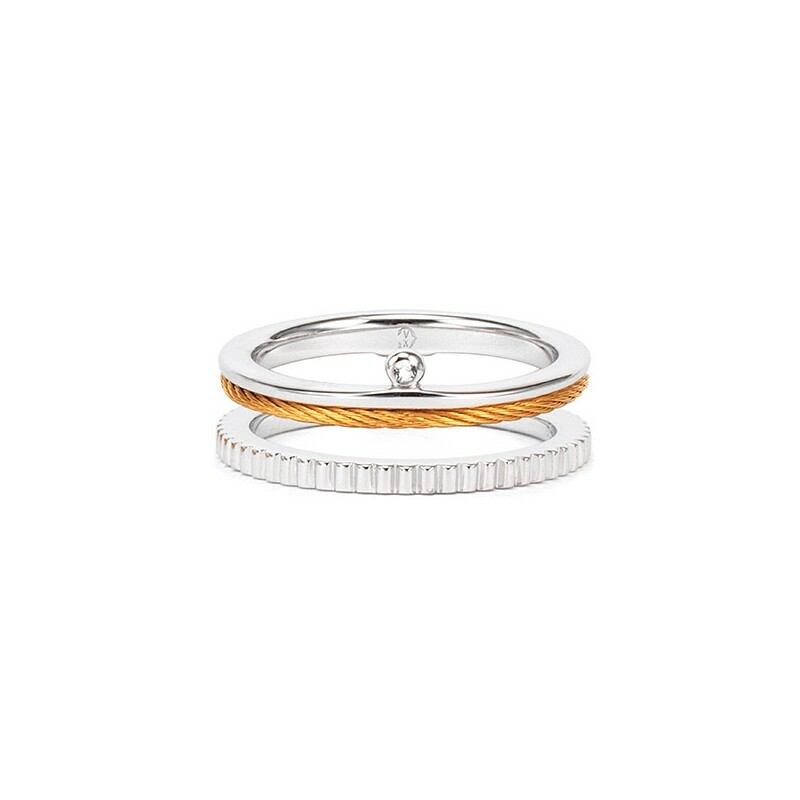 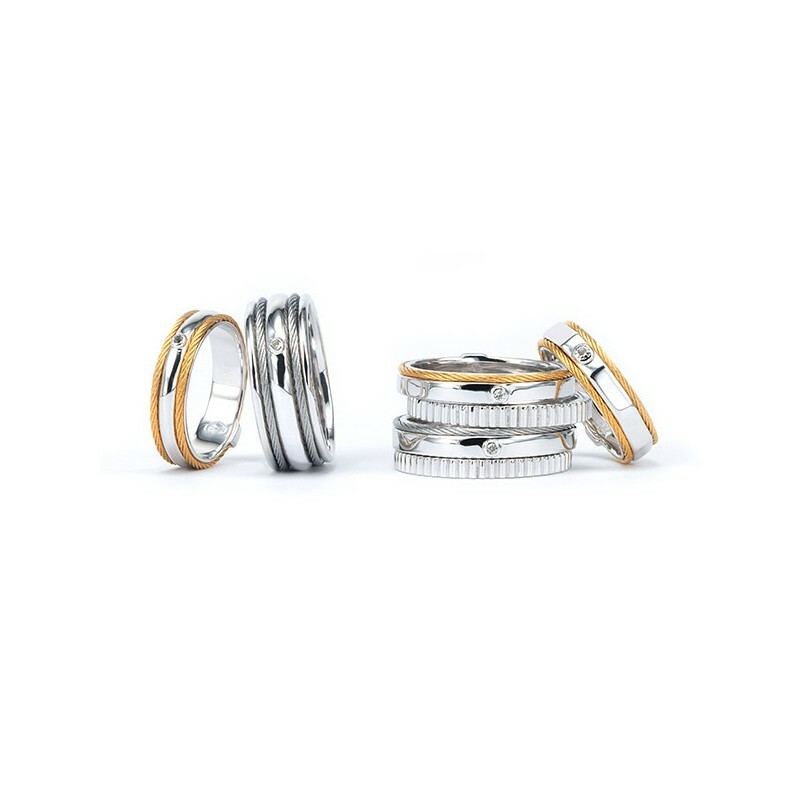 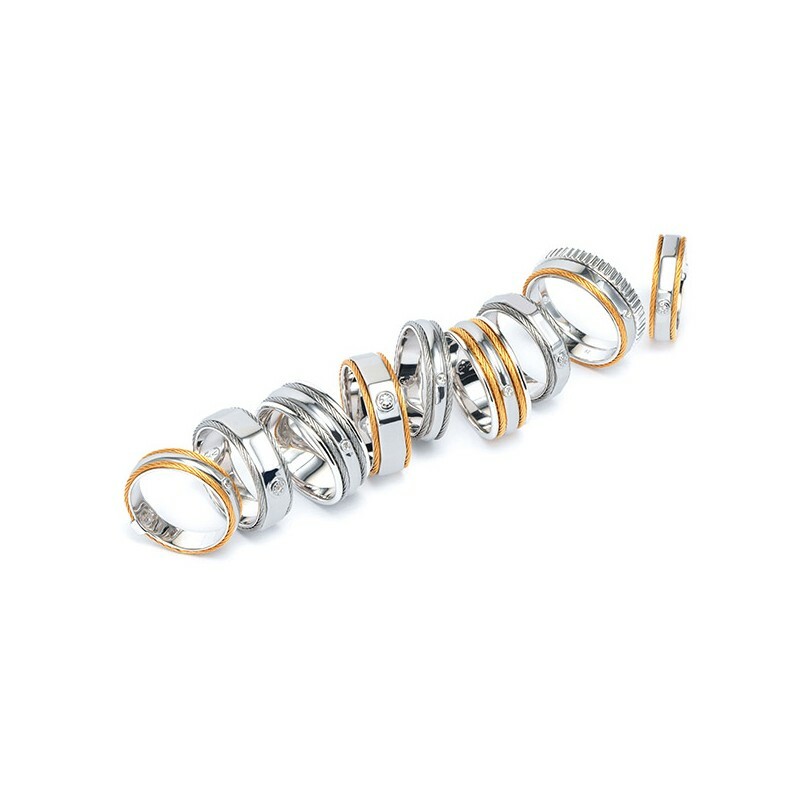 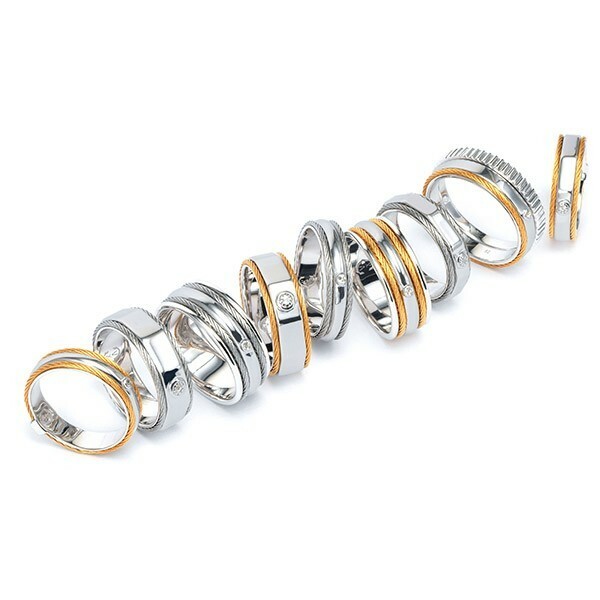 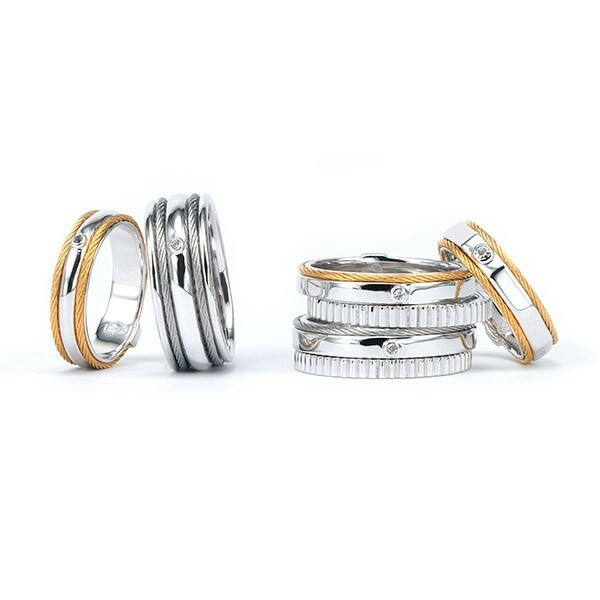 Symbolising love and eternal commitment, this stacked-effect ring boasts contemporary flair, luxurious femininity and our world-renowned artistry.